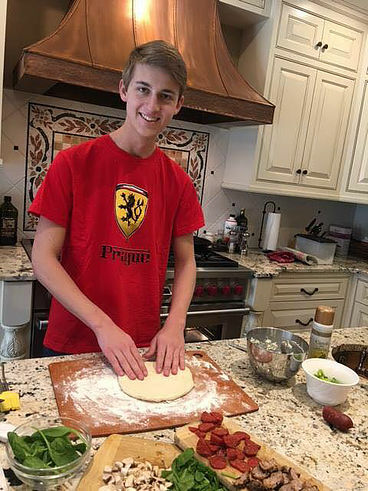 Connecting in the kitchen again…this time making hot and gooey calzones! I look forward to cooking with the kids every week. For one, we make a point to spend some time together. We all love to eat and it’s a lot of fun! Even Noah wanted in on this one! 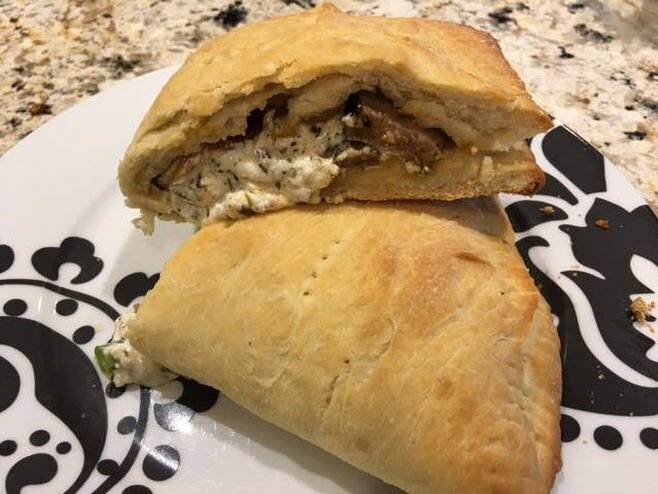 The recipe for the calzone dough is so quick, crispy, and light it is worth taking the time to make it, but store bought will work too. So does the tomato sauce go inside the calzone or do you serve it on the side for dipping??? This has long been debated. Some say it goes inside and some say it’s for dipping. I’m amazed at how relationships grow in the kitchen as we cook and share and talk. Add the oil, honey and salt. Mix in 1 cup of the flour until smooth. Gradually stir in the rest of the flour, until dough is smooth and workable. Knead dough on a lightly floured surface for about 5 minutes, or until it is elastic. Lay dough in a bowl containing 1 tsp olive oil, then flip the dough, cover and let rise for 40 minutes, or until almost doubled. While dough is rising, combine the ricotta cheese, Italian cheese, and Italian seasoning in a medium bowl. When dough is ready, punch it down and separate it into 2 equal parts. Roll parts out into thin 10" circles on a lightly floured surface. Fill one side of each circle with 1/2 of the cheese filling, top with pepperoni, sausage, green pepper, and mushrooms, or fillings of choice making sure to leave a 1" border. Spoon in 3 heaping tbs of sauce or save as a dipping sauce for later. Fold over, pressing edges together and crimping with a fork. Brush the top of each calzone with olive oil. Poke several holes with a fork and place on a lightly greased cookie sheet. Bake at 375 deg. for 30 minutes. Serve hot. Makes 4 servings. Enjoy!